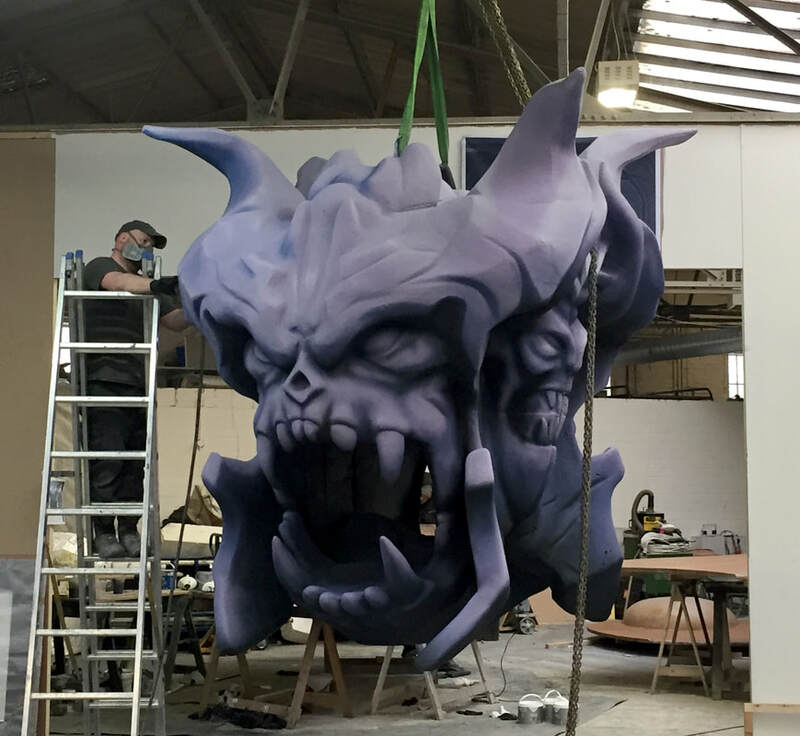 SuperHuge 3D Print: 3M tall Demon Skulls for an exhibition in London ExCel. 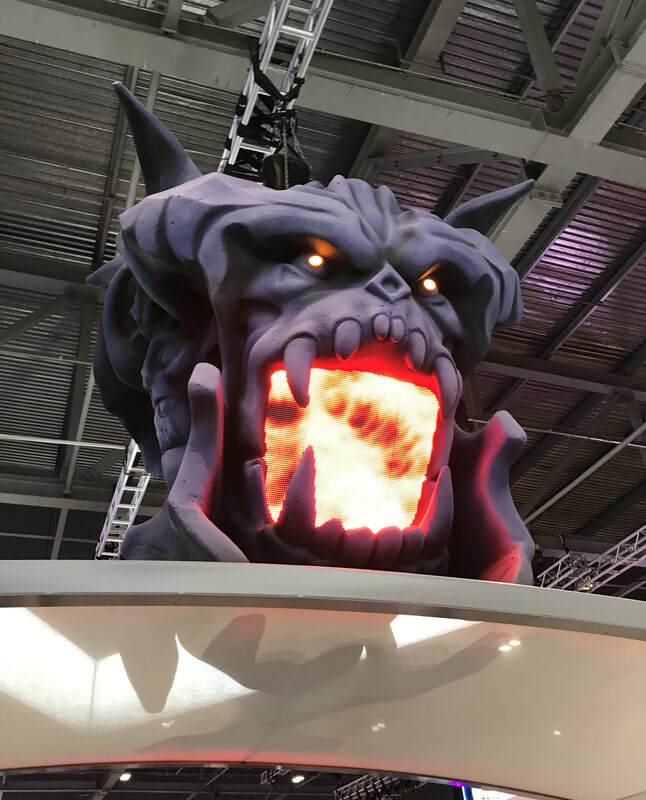 For ICE Totally Gaming Exhibition: To SuperHuge 3D print a pair of 3m tall skulls back to back with integrated lava-flow screens and eyes lit up, along with internal truss for hanging. The sculpture needed to be Class1 Fire rated, robust and durable. Our client had designed 3D assets for the game they were developing which meant starting the project was as easy as uploading the 3D file. We can import practically any 3D format so it was simple for us to head directly into the 3D design part of the process without delay. We needed to design the skulls to accommodate the internal LED screens (each weighing 20kg) so it meant the skulls would need to come apart to allow access to fit them inside. 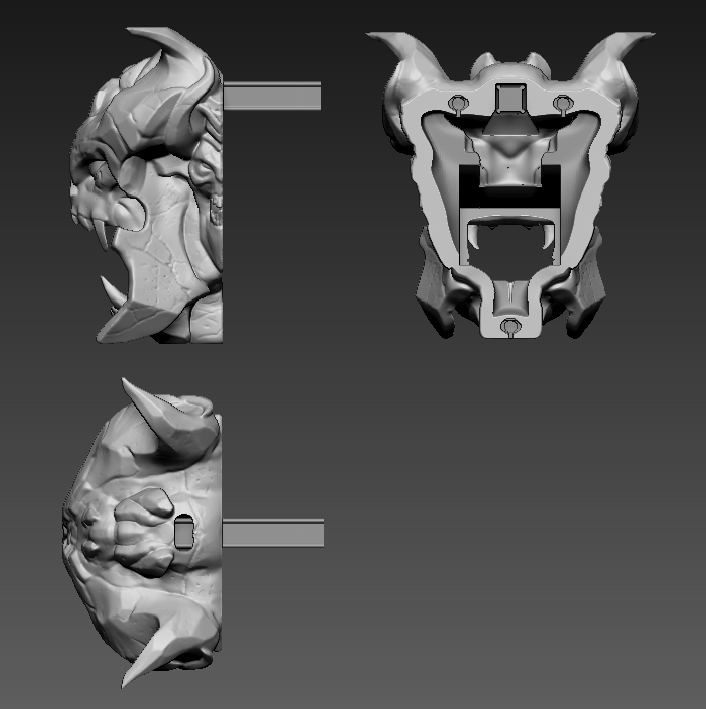 Also designing the skulls in two parts meant transport and installation would be easier and more manageable. 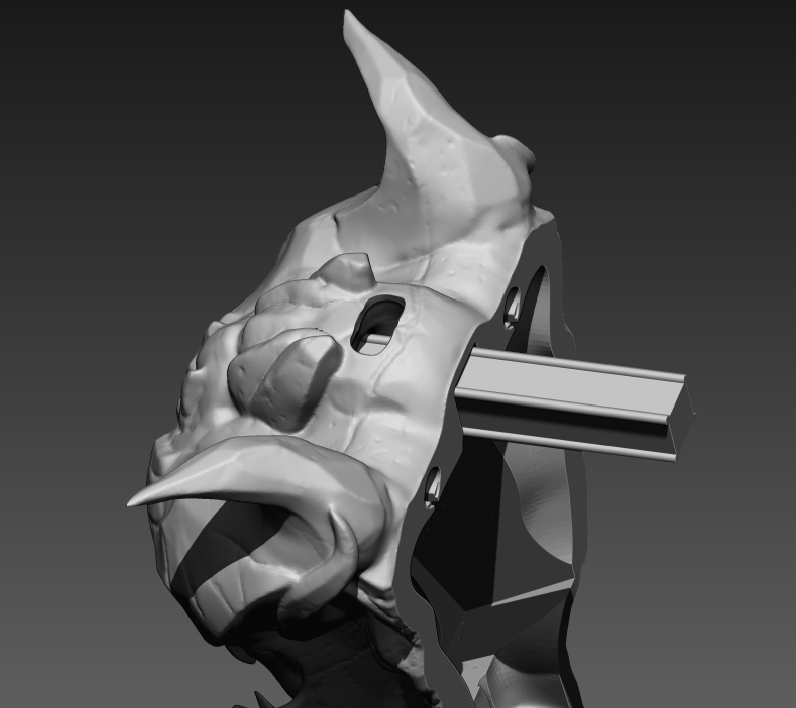 The truss would be fitted inside one skull and the second skull then slid over the other protruding half of the truss. The eyes would be lit by simple light fittings with cables running through channels inside the head. SuperHuge 3D Prints have a 10mm layer resolution in polystyrene. They require smoothing and detailing which is easy in polystyrene. Once the smoothing process is complete we hard-coat in fire-rated polyurea spray resin. It gives a tough, durable coating which makes the object almost bullet-proof. Prior to coating we checked the truss, screen and connectors fitted into the designed cavities, then each skull was coated inside and out to create the tough shell. Once coated we checked again that the internal elements fitted so the skulls could be brought together and hung. This is a real benefit of SuperHuge 3D prints - designing for hollow 3d prints saves time and money! Sprayed and painted to the client's spec. The screens were fitted on location and the lava animation worked an absolute treat. Under four weeks production, the SuperHuge process buys time and peace of mind - The simplicity of working from a 3D file that has been signed off on day 1.